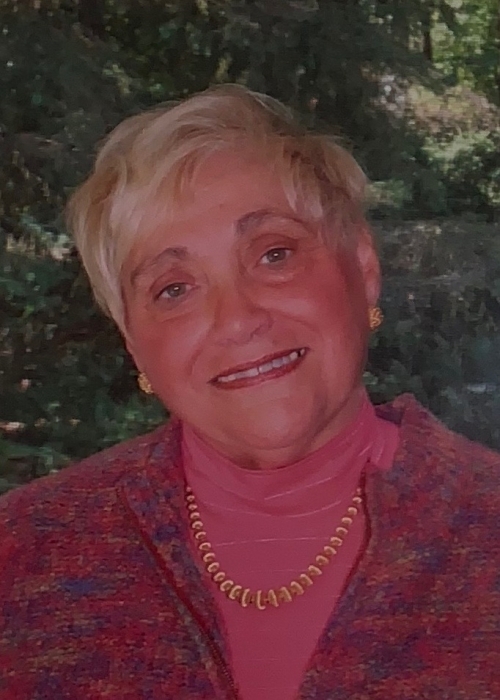 ALBANY Concetta (Connie) E. Papa Jubic, age 86, suddenly entered into eternal life Monday, March 18, 2019, surrounded by her loving family. A lifelong resident of Albany, Connie and her sister, Carmella, owned and operated The Five Sisters Luncheonette and later, she operated Jubic Antiques and Auction Service with her husband. She was a longtime communicant of the former Church of St. Teresa of Avila and current communicant of Mater Christi Church. She was the daughter of the late Carmelo and Anna Giacoppe Papa. She was predeceased by her beloved husband Edward M. Jubic and her daughter Margaret A. Jubic. She was the loving mother of Stephanie M. Jubic of Albany, Edward F. Jubic of Averill Park and Jean Jubic (William D. Pfeiffer) of Niskayuna. Grandmother of Lauren M. and Christopher E. Jubic, and William E. and Margaret E. Pfeiffer. Sister of the late Carmela (Frank) Virgilio, Mary S. (Joseph) Rao, Stefana (Charles) Fiordilino and Rose (Joseph) Mirabile. Also survived by several nieces and nephews. Connie loved her family unconditionally and cherished every moment spent with them. Sunday’s were spent with family around the dinner table with her homemade meatballs and chicken parmigiana. She was an avid reader, enjoyed the Daily Jumble, and was the reigning Chinese checkers champion. Connie was a lifelong learner, whether it was a visiting a museum with her family or attending a continuing education class, Connie was always excited about learning. Her family called her Firebird and would best describe her as an 86 year old with a zesty passion for life, antiques, romance novels, and breakfast buffets. The family expresses their sincere thanks to the staff at Albany Medical Center. Services will be held in private. In memory of Connie, those wishing to honor her may make a contribution to Albany Medical Foundation, 43 New Scotland Ave MC119, Albany, NY 12208 (Please note funds to be allocated to the Frank J. and Carmella Virgilio Endowed Chair for Neuropsychology Fund). To leave a message of condolence for the family go to www.cannonfuneral.com.